Management Committee (MC) of a housing society/apartment complex is essentially the backbone of an apartment complex. The activities performed by the managing committee members determines the residents’ quality of life up to a great extent. The committee members shoulder a great responsibility to offer a superior experience to residents staying in an apartment. 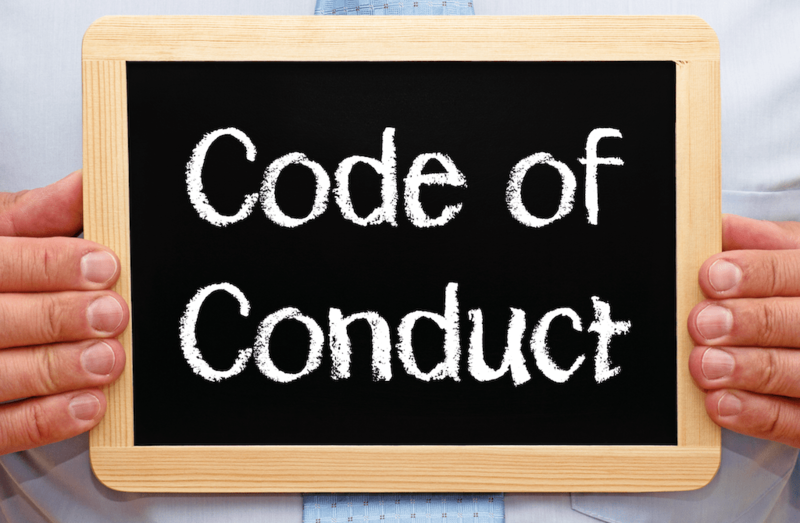 For smooth operations of an apartment and to fulfill one’s responsibility as a management committee member, a certain code of conduct needs to be followed. Most people take up the job of a management committee member more as a voluntary service for their apartment. Moreover, there is no formal induction done for easing the first-time committee members into the job. The code of conduct given below will help all existing and newly formed management committee set a standard and a certain level of expectations among all committee members. Information collected as a committee member is expected to be used in a proper manner. The right discretion should be used while disclosing or keeping a particular piece of information confidential. Comply with privacy obligations in dealing with any kind of personal information you gain as a management committee member. Never take undue advantage of your managing committee member position for yourself, friends or family. Never use your position for causing damage to Society. Decline favors or gifts that may influence your independent judgement as a managing committee member. Go through Society byelaws carefully and adhere to the society rules. Understand the jurisdiction of the power given to you and act accordingly. The single measurement unit of how effective a management committee is the number of meetings a committee conducts in a year to discuss the welfare of an apartment and residents. The ideal number of meetings that an apartment committee should conduct is expected to at least be somewhere in between 50-54 meetings in a year. Try to attend every meeting. Give advance notice to President/Chairman in case you are unable to attend meeting. Come prepared for the meeting – read agenda, emails or any important documents. Switch off your mobile phone during the meeting. Respect difference of opinion during the meeting and always respect others decisions. Speak politely and do not indulge in heated arguments. Engage in constructive and healthy discussions. Accept any decisions that win majority votes even if you personally disagree with the same. Speak only when it’s your turn and listen carefully when others speak. Treat other management committee members with respect and ensure no behavior should be interpreted as bullying, harassment or discrimination. Make positive contributions to discussions. Avoid long speeches and be concise. Always be respectful towards the committee chair and adhere to the ruling provided by the same. Treat vendors and staff of the society with respect. In case, as a management committee member you have a concern about conduct of any staff member, you should contact relevant management committee member in-charge and try to informally resolve the problem. Put up formal complaints at MC meetings instead of getting involved in heated arguments with staff. Try to follow the above mentioned code of conduct and put society’s best interest forward for contributing significantly in building a healthy community. I. Since living in a common interest development (CID) requires an individual citizen to enter into a contract with a governing association, the prospective homeowner must give written informed consent to the terms of the association’s rules and governing documents, but most especially to the Codes, Covenants, and Restrictions (CC&Rs).The governing documents comprise the contract between the association and the homeowner and should clearly spell out the Homeowner Rights. II No CID board shall abridge a citizen’s freedom of speech or of the press either through direct order or through intimidation or any kind of public abuse; that no board shall abridge the right of homeowner citizens to assemble peaceably or to petition the board for a speedy redress of grievances. No CID board shall abridge freedom of religion. Any right/privilege specifically NOT given to the co-operative society will lie with the people i.e the Homeowner Members of the Society. CID will make NO rule or law or what ever named which violates or abridges in any way the rights of the owners specifically provided under the rule of law of the land. III. Boards give a full, true and accurate accounting in writing of all association actions. No actions shall be taken in secret. IV. Homeowner citizens shall be entitled to speedy access to all association records, particularly to financial records, contracts, and records of governance at any time without exception. V. Homeowner citizens shall not be deprived of liberty or property, without speedy due process of law. Nor shall private property be taken without just compensation, specifically; there shall be no non-judicial foreclosure. VI. Homeowner citizens shall have the absolute right to vote on any changes to the terms of the original contract, i.e. changes in rules and amendments to governing documents or fines they are expected to pay. No fine shall exceed the true costs of the remedy. VII. If accused of violating rules, homeowner citizens are entitled to a speedy and public hearing by an impartial body (Ombudmen) not selected by the board; the impartial body shall determine the guilt or innocence of the accused and determine what fines, if any, be imposed; that the accused be informed of the nature and cause of the accusation; be confronted with witnesses; and have a compulsory process for obtaining witnesses, records, and advocates. Use of this system does not cancel a citizen’s rights of appeal in the courts. VIII. Residents shall be treated equally, and not in an arbitrary fashion, without reference to age, race, gender, cultural lifestyle, sexual orientation, national origin, marital status, disability or familial status as established by both state and central laws and regulations. IX. Rules enacted by a CID association and amendments to its governing documents must conform to all state and central fair housing and health, safety and welfare laws. X. Elections shall be in the hands of the homeowner citizens, not the CID board: ballots shall be secret; no homeowner citizen shall be denied the right to vote for failure to pay any fine or tax, including assessments; directors shall serve no more than two terms and be held accountable for their decisions; the makeup of the board shall reflect the makeup of the association membership. All complaints will be answered within 10 days from the date of receipt. Those complaints that cannot be resolved will be decided by an independent OMBUDSMEN BOARD (independent of the Governing Board) and elected by the Members. question whether or not the developer has underfunded / misappropriated the reserve accounts (or not funded them at all). Discipline of the official (director or committee member). An assessment against the director or committee member for damage to the common area or facilities. A request, by the director or committee member, for a payment plan for overdue assessments. A decision whether to foreclose on a lien on the separate interest of the director or committee member. Review of a proposed physical change to the separate interest of the director or committee member. A grant of exclusive use of common area to the director or committee member. 1. Read and comply with the governing documents of the community. 2. Maintain their property according to established standards. 3. Treat association leaders honestly and with respect. 4. Vote in community elections and on other issues. 5. Pay association assessments and charges on time. 6. Contact association leaders or managers, if necessary, to discuss ﬁnancial obligations and alternative payment arrangements. 7. Request reconsideration of material decisions that personally affect them. 8. Provide current contact information to association leaders or managers to help ensure they receive information from the community. 9. Ensure that those who reside on their property (e.g., tenants, relatives and friends) adhere to all rules and regulations. 1. Expect owners and non-owner residents to meet their ﬁnancial obligations to the community. 2. Expect residents to know and comply with the rules and regulations of the community and to stay informed by reading materials provided by the association. 3. Respectful and honest treatment from residents. 4. Conduct meetings in a positive and constructive atmosphere. 5. Receive support and constructive input from owners and non-owner residents. 6. Personal privacy at home and during leisure time in the community. 7. Take advantage of educational opportunities (e.g., publications, training workshops) that are directly related to their responsibilities and as approved by the association. 1. Fulﬁll their ﬁduciary duties to the community and exercise discretion in a manner they reasonably believe to be in the best interests of the community. 2. Exercise sound business judgment and follow established management practices. 3. Balance the needs and obligations of the community as a whole with those of individual homeowners and residents. 4. Understand the association’s governing documents, become educated with respect to applicable state and local laws and manage the community association accordingly. 5. Establish committees or use other methods to obtain input from owners and non-owner residents. 6. Conduct open, fair and well-publicized elections. 7. Welcome and educate new members of the community—owners and non-owner residents alike. 8. Encourage input from residents on issues affecting them personally and the community as a whole. 9. Encourage events that foster neighborliness and a sense of community. 10. Conduct business in a transparent manner when feasible and appropriate. 11. Allow homeowners access to appropriate community records when requested. 12. Collect all monies due from owners and non-owner residents. 13. Devise appropriate and reasonable arrangements, when needed and as feasible, to facilitate the ability of individual homeowners to meet their ﬁnancial obligations to the community. 14. Provide a process residents can use to appeal decisions affecting their non-routine ﬁnancial responsibilities or property rights—where permitted by law and the association’s governing documents. 15. Initiate foreclosure proceedings only as a measure of last resort. 16. Make covenants, conditions and restrictions as understandable as possible, adding clarifying “lay” language or supplementary materials when drafting or revising the documents. Can i participate in the elections of committe members even if i dont stay in the society as i had given my property on lease ? If NO what is the provision ?